LONDON (AP) — Confirmation that the U.S. and Canada secured agreement on revising their trade pact shored up global stock markets Monday at the start of a busy data week that culminates with key monthly U.S. employment figures. KEEPING SCORE: In Europe, Germany’s DAX was up 0.5 percent at 12,309 while the CAC 40 in France advanced 0.3 percent to 5,507. Britain’s FTSE 100 was 0.1 percent higher at 7,519. Wall Street was poised for solid gains at the open with Dow futures and the broader S&P 500 futures up 0.6 percent. 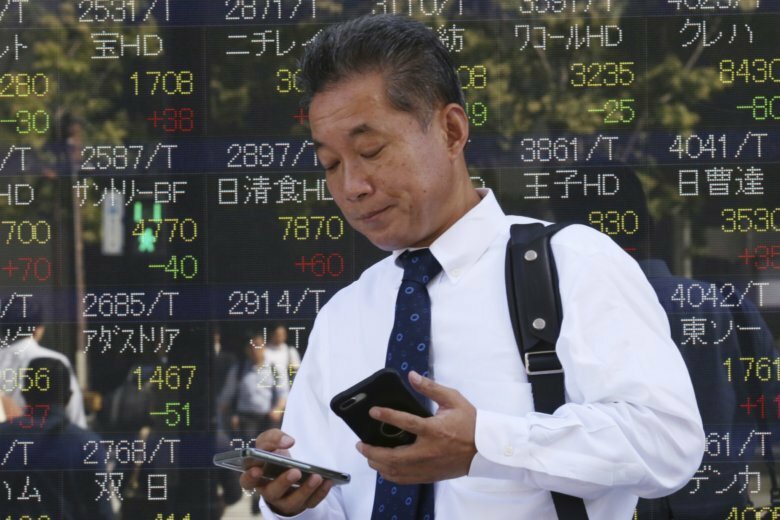 THE DAY IN ASIA: Japan’s benchmark Nikkei 225 gained 0.5 percent to 24,245.76. Australia’s S&P/ASX 200 lost 0.6 percent to 6,172.30. South Korea’s Kospi gave up 0.2 percent to 2,338.88, while India’s Sensex surged 0.8 percent to 36,526.14. Shares were mixed in Southeast Asia. Markets in Hong Kong and the Chinese mainland were closed for National Day holidays.